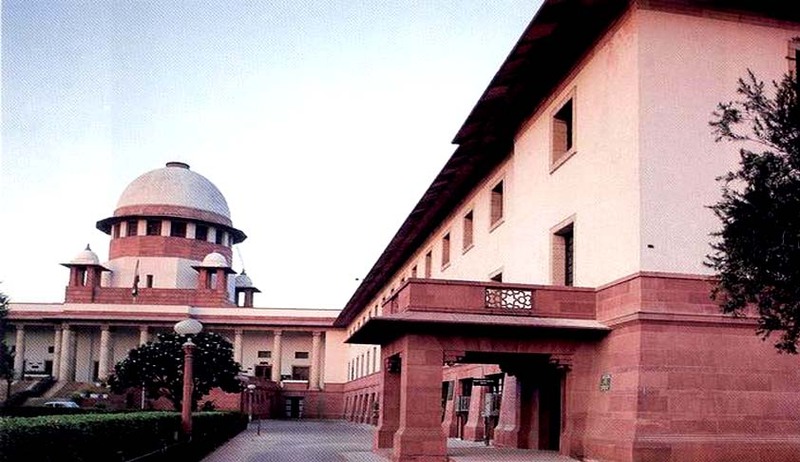 The Supreme Court today wondered if there was a need to order setting up of special courts to decide criminal cases related to People Representatives Public Servants and Members of Judiciary within one year. "How many such cases are pending? Are there many or few? Does the fugure justify setting up of the courts? Is there enough volume of work? Justice Ranjan Gogoi asked Ashwini Upadhyaya, Delhi BJP leader and lawyer, the petitioner in the case. Regarding plea for completion of all such trials within one year, the bench there was already an order of Supreme Court to this effect". Anyways the bench sought response of Centre on the pending PIL seeking barring convicted persons from contesting polls for life and preventing their entry into judiciary and the executive and all other issues. The bench fixed the PIL for final disposal on July 12. On March 18 Election Commission filed an affidavit in the Supreme Court supporting setting up special courts to decide criminal cases related to People Representatives Public Servants and Members of Judiciary within one year and to debar the convicted persons from Legislature, Executive and Judiciary for life. On March 3 the Supreme Court on a PIL by advocate and BJP leader Ashwini Kumar Upadhyaya had granted government and the Election Commission the last opportunity to spell out their stand on a plea for debarring convicts from contesting polls for life and stopping them from entering the judiciary and the executive. “It is pertinent to mention that the answering Respondent (EC) have held several meeting with the Secretary Ministry of Law, legislative department of the Government. It is pertinent to mention that most of the recommendations /proposals of the answering Respondent have been endorsed by the Law Commission in their 244th and 255th Reports. However, most of the proposals/recommendations made by the answering Respondent are either pending consideration by the U.O.I. or have not been approved for the time being”, the affidavit said. Issue a direction or order or writ including writ in the nature of mandamus or such other writ, order or direction as may be necessary; directing the Respondents to set minimum qualification and maximum age limit for People Representatives and allow cost to petitioner. "Apart from terrorism and naxalism, the most serious problem our country is facing is extensive corruption and criminalisation of politics. In the Executive and Judiciary, when a person is convicted for any criminal offence, he/she is suspended automatically and debarred from his services for life. This rule, however, is applied differently in case of convicted persons in the legislature," the petition, filed by advocate and Delhi BJP spokesperson Upadhyay had said. He has also submitted that decriminalisation of the polity was impossible without debarring convicted persons from electoral politics for life, as done in the case of convicted persons being barred from the executive and judiciary. "We cannot apply different rules to debar convicted persons from judiciary, executive and legislature," he said, adding "even after conviction and undergoing sentence, a convicted person can form his own political party and is eligible to become the office bearer of any political party. "In addition, a convicted person is eligible to contest the election and eligible to become Member of Legislature and even Minister after expiry of six year period from the date of conviction," the plea has claimed. It has sought implementation of poll reforms proposed by Election Commission, Law Commission and National Commission to review the working of the Constitution.